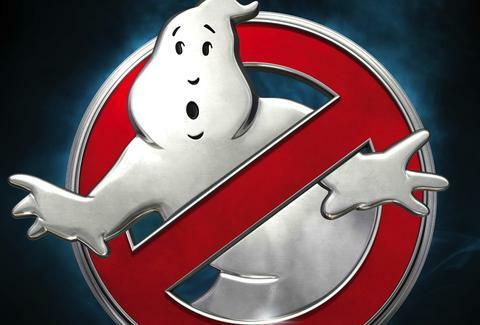 This month, Chinese officials banned the new Ghostbusters reboot from playing in the country's movie theaters. According to an unnamed executive, China's government-owned film commission blocked the release, and it ain't 'cause they're afraid of no ghosts. Thanks to the Communist Party's secular guidelines, anything that promotes cults or superstition is blocked from Chinese theaters, a precedent that kept movies as big as Pirates of the Caribbean: Dead Man's Chest from playing in the profitable market. (Anti-cannibalism sentiments didn't help matters there, either.) And China isn't the only place with wacky film censorship guidelines. Here are six other American movies -- and one poor actress! -- that were banned overseas for eyebrow-raising reasons. No one in Myanmar experienced Spider-Pig because The Simpsons Movie was banned nationwide on the basis of... color choice. Just as the country had done to paintings throughout the 20th century, Burmese film censors imposed a strict policy banning the colors yellow and red, as the latter represents revolution and blood. Any movie featuring them is off-limits. Considering Homer's skin tone, The Simpsons Movie didn't stand a chance. Derek Zoolander might be a dummy, but he did save the prime minister of Malaysia (or "prime rib of Propecia") from an assassination attempt. Unfortunately, Malaysian film censors didn't find the humor in Derek and Hansel's dimwitted, culturally appropriative comedy: they blocked the movie over the assassination subplot, and convinced Singapore to follow suit. North Korea isn't keen on most movies made in America, Japan, or South Korea. But Kim Jong-il was especially opposed to this John Cusack disaster movie, and for a self-righteous reason: Kim believed that 2012 was destined to be a lucky year for his country, since it marked the centennial birthday of Kim Il-sung, the "Great Leader" of North Korea. So he didn't want anyone watching a movie where Earth crumbles during this blessed year. Of course 2012 was banned, and police even cracked down on citizens smuggling bootleg copies of the movie across the Chinese border. Anyone caught with the offending DVD faced up to five years in prison, which is a high price to pay for some CGI tsunamis. Sweden, Finland, and Norway prohibited most kids from seeing Steven Spielberg's alien adventure over concerns that E.T. painted adults as the enemy. Under the imposed age caps, only preteens were allowed in -- and their younger siblings were pissed. The AP reported that children stood outside theaters with tiny, heartbreaking picket signs demanding admission. That didn't accomplish much, but the smart kids found ways to sneak in. A Marx Brothers movie seems pretty innocuous today, but for prewar Irish censors, it was downright dangerous. Monkey Business was denied a theatrical release in Ireland over fears that it would "provoke the Irish to anarchy." That ban wasn't lifted until 2000, which seems extreme, until you watch the controversial jokes like this one. Thought China's only concerns were over ghosts and eating people? Guess again. The country made headlines in 2011 for banning Back to the Future because it depicted time travel. Those initial reports were somewhat mistranslated -- Chinese censors' primary concern was misrepresentation of historical figures, not Doc Brown's DeLorean. But there might have been some truth to the time-travel ban. Many interpreted the success of Looper the following year as a sign that China was starved for time-warping movies -- but Looper made over $20 million at the Chinese box office, so either the Chinese are deprived of time travel, or they just really love diner confrontations. In perhaps the pettiest ban of all, Manila, the capital of the Philippines, blocked all Claire Danes movies (and Claire Danes herself) from entering the city. Why? Because the city council doesn't like the mean things the Emmy-nominated actress has said about them. After filming the 1999 movie Brokedown Palace in the city, Danes told Premiere that Manila "smelled of cockroaches, with rats all over and that there is no sewage system, and the people do not have anything -- no arms, no legs, no eyes," and told Vogue the town was "ghastly and weird." Ouch. Those comments earned Danes a sweeping ban on all her films. She did apologize for her remarks, but it appears her words fell on deaf ears: the ban remains in place today. Which isn't all too surprising, since apparently, Manila does this a lot. Kristin Hunt is a freelance writer for Thrillist. But if she were a film censor, she'd probably cut any movie where a dog dies. Follow her @kristin_hunt.